One of the nursery rhymes I learnt during my childhood days. I have always wondered, what were “curds and whey”. Now I know! Hey! I make that everyday from my milk kefir! They separate in curds and whey after fermentation and both are extremely nutritious. So Little Miss Muffet is a healthy little girl! Wahahaha! 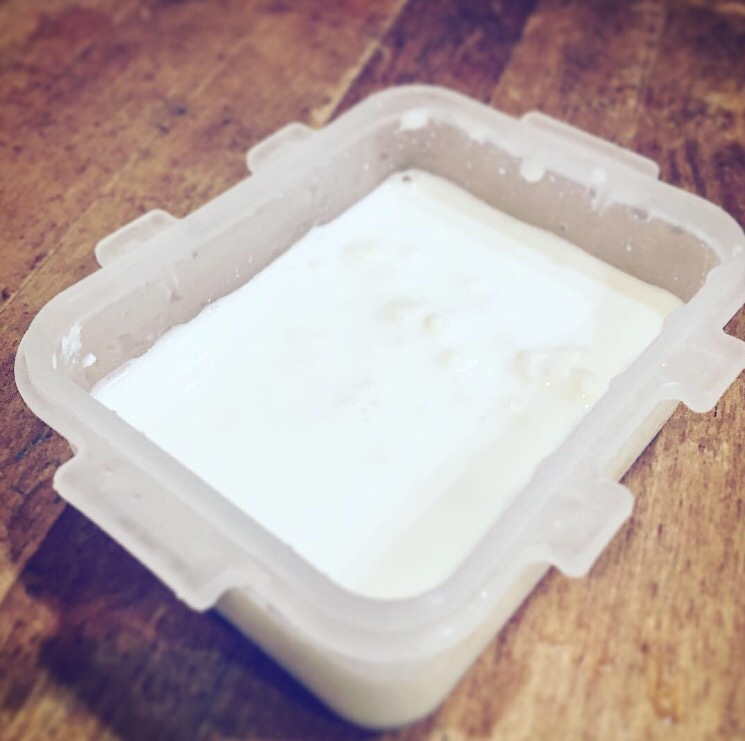 In my last milk kefir post, I posted that my kefir grains were starved to death… Sigh… As I had no grains, what I did, was to “recycle” the curds. After fermentation, I would take a big scoop, put the curds into my glass container, feed it with milk, then ferment them again. With the curds, I was able to continue making more kefir. Well, that’s because there is still live culture present in the curds. The live culture continues to stay alive and cultivate the milk. Theoretically speaking, this can go on and on and on. However, as they are microscopic and can’t be seen by the naked eye, the only way to test the amount of culture in the curds is by lab testing. If the bacteria die off, it will stop cultivating. The safer way is to still obtain the kefir grains for cultivating the bacteria. So, I used curds to culture my kefir for quite a while, til Marcelly came to my rescue! By giving me more grains!! Thanks babe!! It’s just a useful tip for you. If you are able to get live cultured curds, you can technically make curds for quite a while, even without grains. Therefore, if you are unable to find grains, you can buy the original milk kefir from Craft & Culture and then use it to make more kefir. 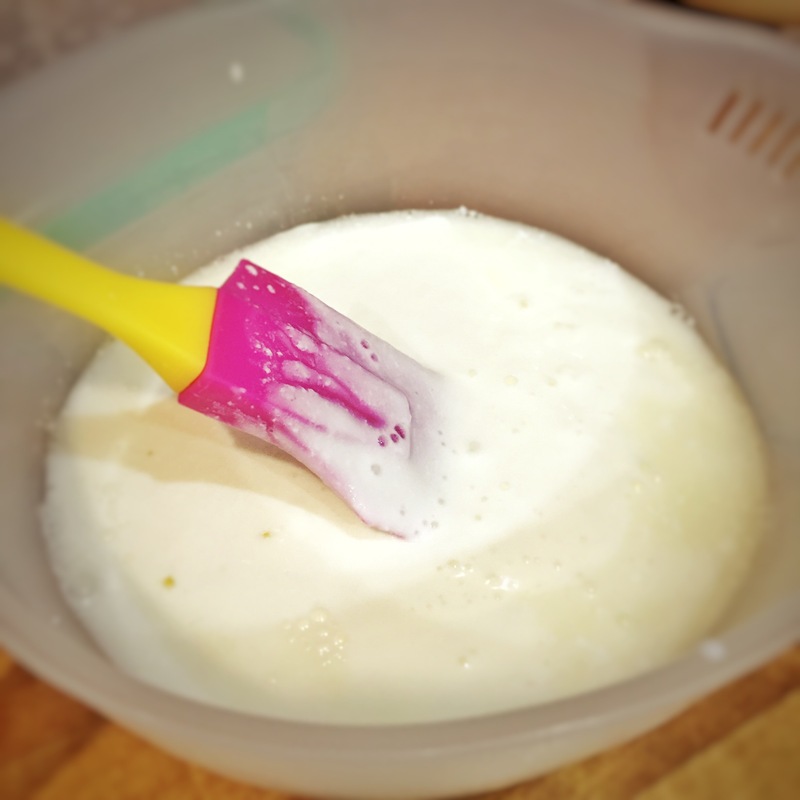 The Day My Kefir Grains Died…. My milk kefir grains have… disappeared!! It’s tragic…. I swirled around my filter. I had just returned from the States after almost 3 weeks. I had left my precious grains in the care of my Mother, so that she could continue to produce kefir for my children while I was gone. Me : Mom! Eh… what happened to the kefir grains?? Mom : Aren’t they inside the kefir? Me : No… nothing’s there! Me : (suspiciously) How often do you make them?? Mom : Arh… whenever the kids finish eating lar. Then I make more. Me : So… how often is that?? Do you give them kefir every day? Mom : No lar… sometimes I remember I will give. So every 4-5 days, I make some lor. Me : Did you put the grains into the fridge when you don’t make them? Mom : No. Need arh? I just left them on the table. My Mom literally starved my kefir grains to death!!! The grains are usually covered with milk and left in the refrigerator when I am hibernating them. And it is good to hibernate them every other day so that they are not “overworked”. In fact, they multiply faster whenever they get some rest. So, remember, not to starve your grains to death. Pop them into the refrigerator, covered with milk to rest them.